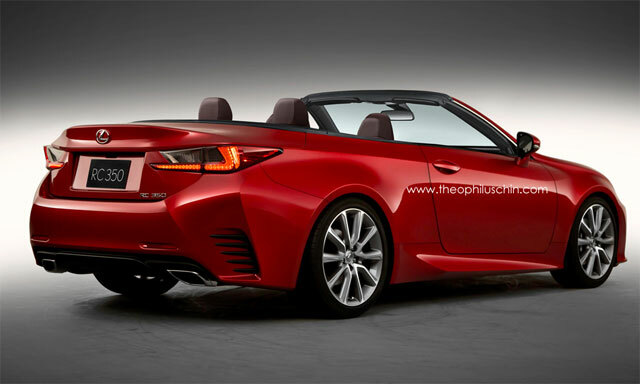 Lexus RC Convertible in the Works? However, while willing to reveal the rear-wheel drive two-door coupe boasted underbody bracing that would aid development of a replacement for the outdated IS 250C, Furyama was not prepared to confirm that a green light had been given to RC convertible production. “We are preparing so if we decide to provide the convertible model from this it is possible from the engineering perspective,” he told motoring.com.au. “But there is no actual plan for a convertible. As Furyama-san mentions, the coupe is much too important to start talking about a convertible version just yet, and that’s even more true if the article is correct and the RC isn’t scheduled to be released until the second half of 2014. Lexus Cohen: I need to se the RC Fsport, really want to trade my GS Fsport for it. Where is is Lexus, where is it? Mike: Hey, this is LEXUS, not Toyota, man. In Europe, only rednecks drive MR-2 and Celicas. Uhhhhhh!